Unique retaining wall with natural rocks. 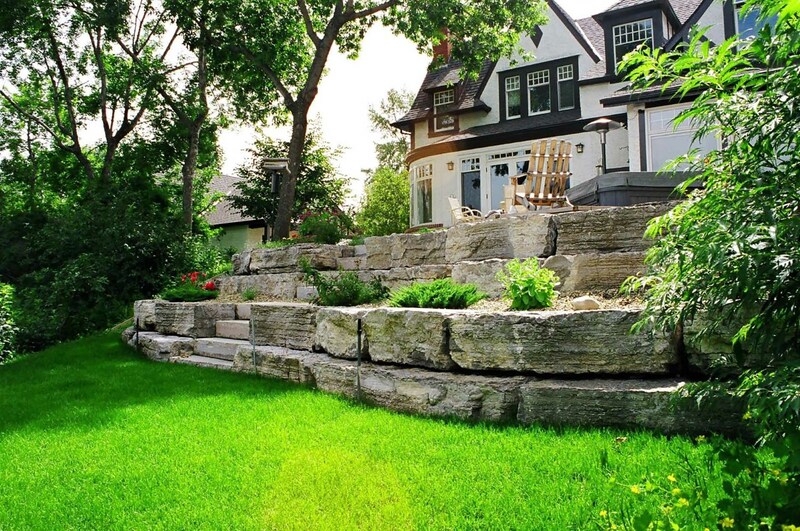 Sloped backyard landscape. Green luscious lawn in the front. - Curb Design Inc.